Calyx has just published my essay “Ratification,” about growing up during the fight for the Equal Rights Amendment (click the link to purchase a copy). So here is the third-grader who was spooked by her anti-ERA teacher. She doesn’t look scared, but already she knows that girls aren’t supposed to be too smart. In a few years she’ll replace dresses with Oshkosh B’gosh overalls, partly for comfort, partly to hide her unmistakably female body. 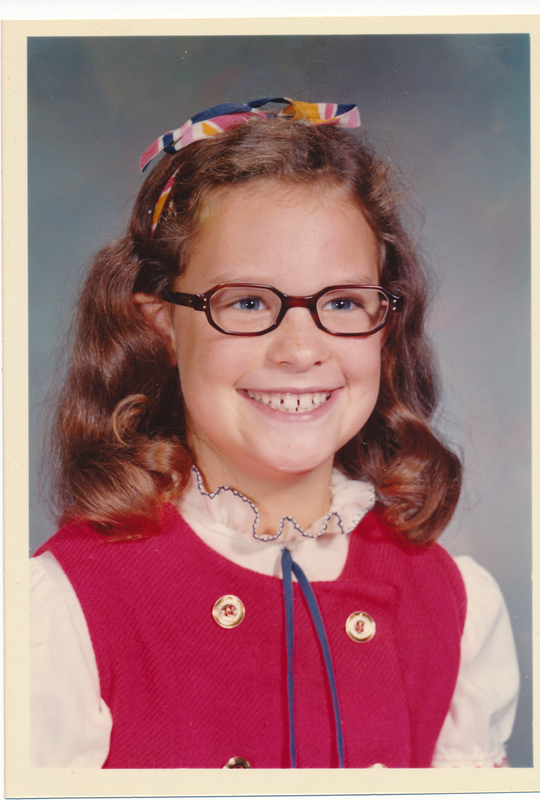 Of the time she spent in third grade, only a few moments will be memorable: winning a spelling bee, reading laminated SRA cards, and listening to Mrs. Peerenboom’s threats about the dire consequences of women’s equality. This entry was posted in Uncategorized and tagged feminism, writing. Bookmark the permalink.